EP 84: The BP’s one way ticket is to this year, to this NYC borough — the birthplace of Tony Curtis, Anne Bancroft & Cuba Gooding, Jr.
Ruben Diaz, Jr. first entered public office as a member of the New York State Assembly in 1997, and is currently serving his second full term as Bronx Borough President, having been reelected in November 2013 with more than 89 percent of the vote. 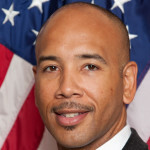 As Borough President, Ruben Diaz, Jr. has led the implementation of a “New Bronx” agenda — economic development, housing, education, and public safety — in every corner of the borough. The Bronx has seen over $7 billion in new development of all kinds since Borough President Diaz took office in 2009. This includes more than $600 million in housing, building over 14,000new units. More than 15,000 new jobs have been created in The Bronx since 2009, thanks in large part to the continued partnership between Borough President Diaz, the Bronx Overall Economic Development Corporation and those seeking to do business in the borough. Major projects such as Fresh Direct, the Kingsbridge National Ice Center, new retail developments in every corner of the borough and the Cary Leeds Tennis Center in Crotona Park are among the major contributors to the “New Bronx” renaissance, led by Borough President Diaz. Since taking office in 2009 Borough President Diaz has provided millions in funding to projects of all types in every Bronx neighborhood, including new technology upgrades to borough schools, green roofs and boiler upgrades, park improvements and more.